Open the door to unexpected business opportunities. 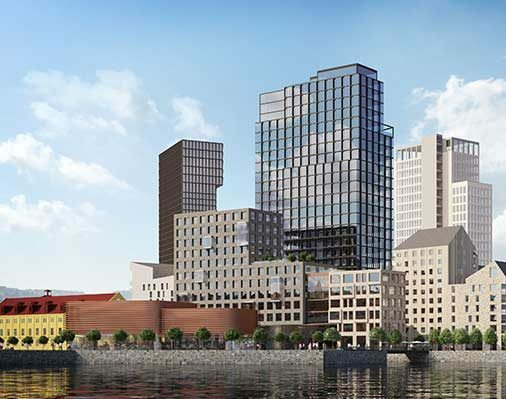 Right along the shore of the Göta River in the new Masthuggskajen district in Gothenburg, a new meeting place for international business and trade is going to be established. Global Business Gate will serve as an innovative hub where export-oriented commerce meets global specialist companies in everything from transport and law to communication and IT. Together we will create space for both spontaneous and formal meetings where unexpected partnerships can be born. Global Business Gate and its surroundings will create an environment that nurtures innovation, networking and knowhow exchange. An ecosystem packed with energy that generates new business opportunities. SECURE YOUR PLACE ALREADY TODAY – contact Global Business Gate via the contact details on this page for an unexpected and inspiring presentation. 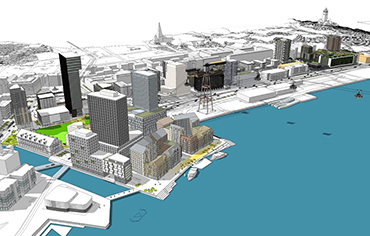 Vi på Elof Hansson Fastigheter är stolta över vårt koncept och projekt Global Business Gate som ska ta plats på nya Masthuggskajen i Göteborg. 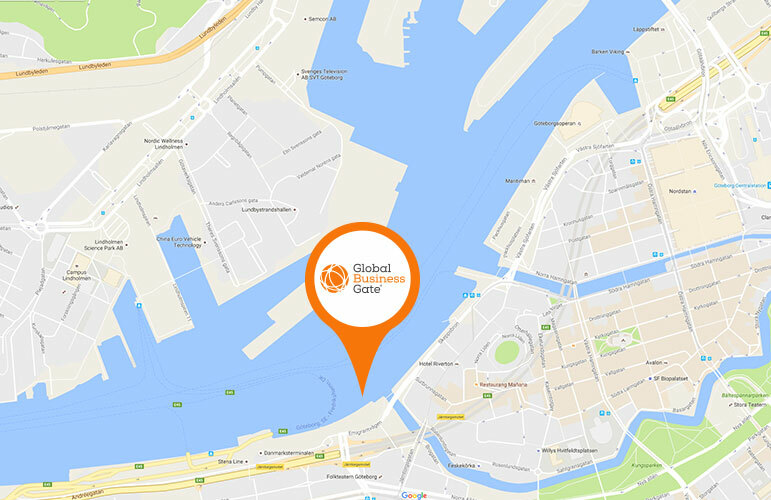 Global Business Gate – öppet för världen! Lennart Hedström, VD för Elof Hansson Fastigheter” i en intervju med DI ”Aktuella projekt”. Nätverket FinansKompetensCentrum har idag lyssnat på representanter ifrån Elof Hansson Fastigheter och moderbolaget Elof Hansson som berättat om konceptet Global Business Gate och om Elof Hansson koncernens traditionella verksamhet. The success of the Gothenburg region is based largely on international trade, not least thanks to the city’s favourable geographic location. This has led to a high concentration of import and export operations. Today Gothenburg is Sweden’s foremost export region and its international trade continues to expand, prompting growth and creating jobs. Global Business Gate will reinforce the scope for international trade. Through cooperation, networking and knowhow transfer, and with its close proximity to the city’s academic centres and clusters, Global Business Gate can contribute to the business community’s ability to improve and streamline its commercial operations. 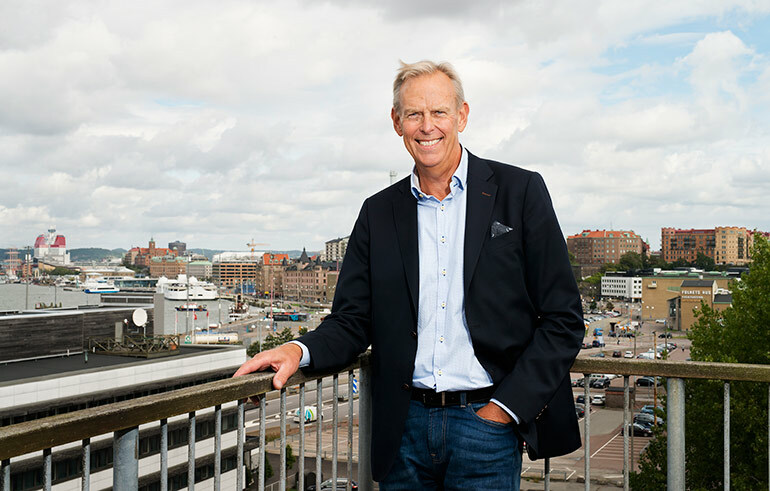 Global Business Gate will be the hub that provides the lifeblood for the Gothenburg region’s international trade, helping the city to continue flourishing as a vital commercial centre. It will create a unique meetingplace to help strengthen corporate competitiveness and assist in complex business deals. By offering an attractive one-of-a-kind working climate and coworking-spaces, recruitment possibilities improve and this too contributes to enhanced competitiveness. When concrete solutions such as shared meeting and project areas are combined with access to expertise, openness and a fresh approach, the result is conditions that almost automatically drive development forward. The dynamic in this type of cluster reinforces both the individual’s career possibilities and the company’s recruitment processes. It quite simply becomes a place where it is natural to do business, a place where both organisations and individuals can grow. Masthuggskajen is developing into a living urban district, featuring a blend of offices, apartments, services, parks and waterfront facilities. 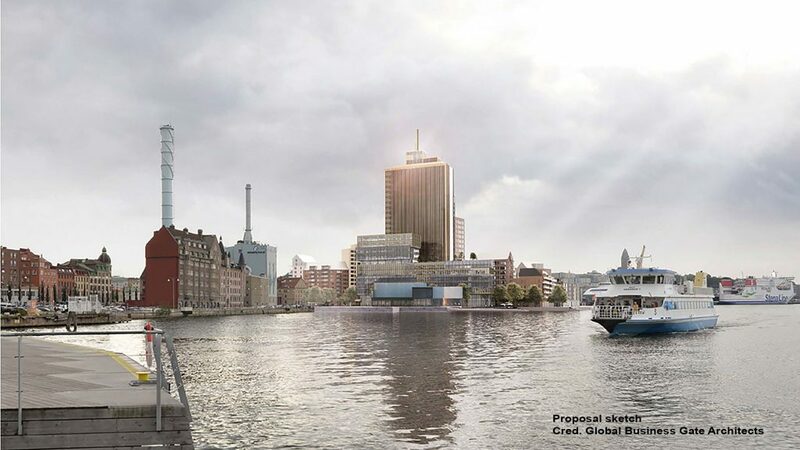 The rich cultural offerings of the Haga and Linné quarters will enrich the area and there are excellent transport links with the rest of the city, including the cable car spanning the river, the new Haga Station for the Västlänken transit system, the major dual carriageways entering the city, and the ferry shuttles across the river. It is in the very heart of this dynamic metropolitan district that Global Business Gate is being built. Our mission – better business! Global Business Gate symbolises international trade in both function and architecture. The building itself will reflect and support its tenants’ business operations while its modern, innovative design will attract the international spotlight. With shared meeting, project and coworking facilities, it is possible to create scope for cooperation and formal as well as informal meetings. 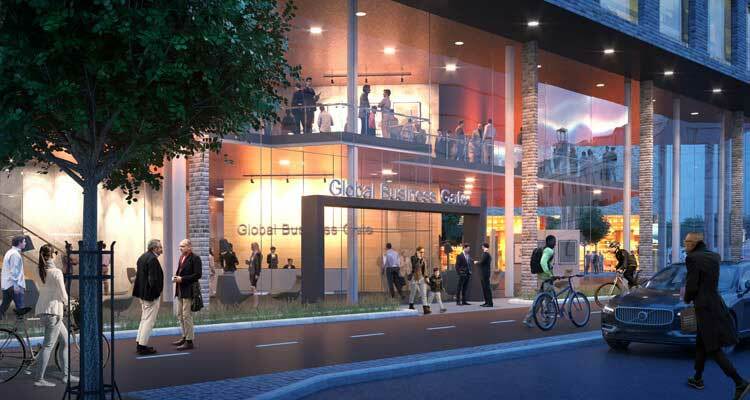 The lower storeys of Global Business Gate will help establish a truly living atmosphere in the local area. With restaurants, cafes, shops and a variety of services it will be exciting to work and live in Masthuggskajen. 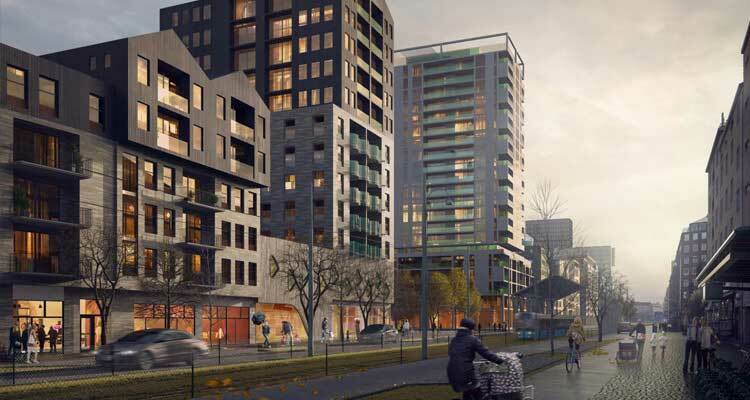 Add in a rich cultural heritage and Masthuggskajen will develop into the natural extension of the alredy vibrant quaters of Linné and Haga. 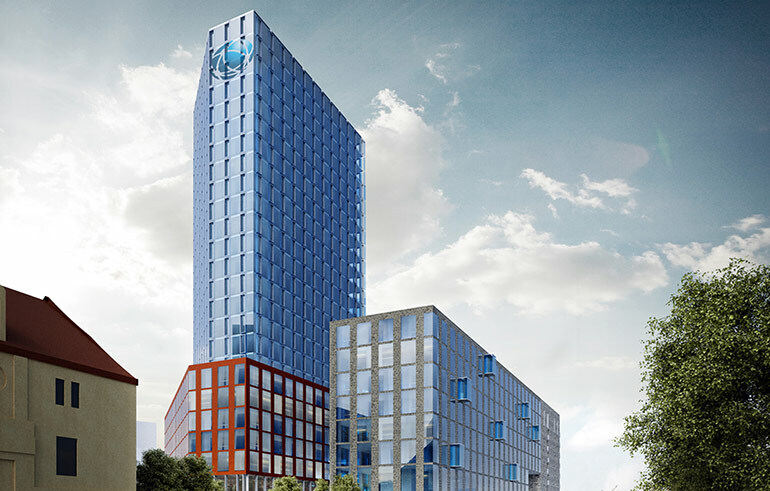 Global Business Gate will be a tall symbol of Gothenburg’s international outlook and its links to the world beyond. With its 2500-3000 workplaces, it won’t be only the offices that are designed and tailored to suit customer wishes, Global Business Gate will also have a physical environment in the form of innovative public areas, meeting-places and solutions that promote the project. 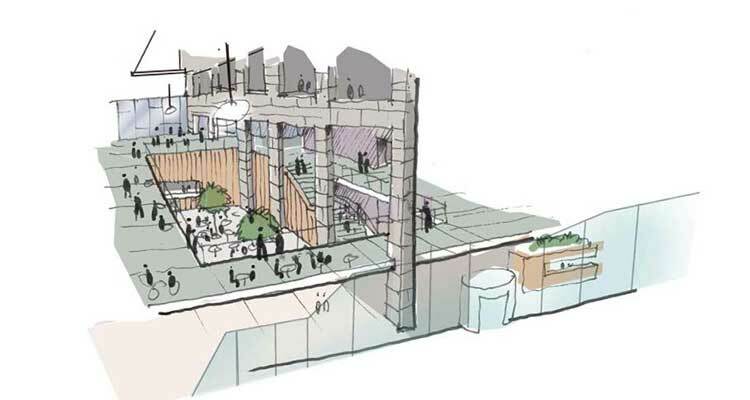 These co-working areas will be designed in close cooperation between Global Business Gate and United Spaces. Read more at unitedspaces.se. As a potential tenant, you can already today shape the design of your future premises and that of Global Business Gate. From discussions in the form of round-table groups we now have several companies that have signed letters of intent, but there are still vacancies. If you and your company want to get on board please contact us immediately. You will be offered a place in the reference group, which among other things examines the Global Business Gate concept, service and operational support, design of shared premises, services and your own work environments, as well as other areas and their buildings.